The Rev. 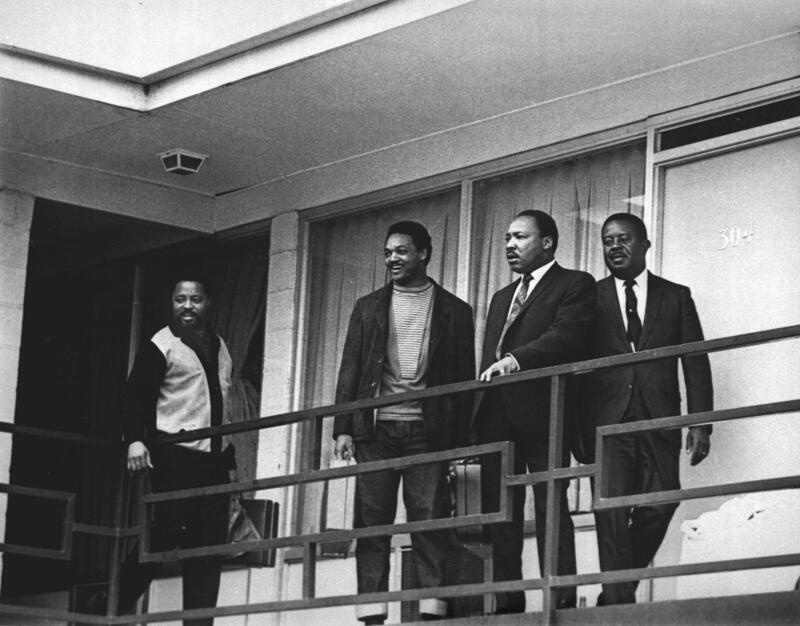 Martin Luther King Jr. stands with other civil rights leaders on the balcony of the Lorraine Motel in Memphis, Tenn., on April 3, 1968, a day before he was assassinated at approximately the same place. From left are Hosea Williams, Jesse Jackson, King and Ralph Abernathy. 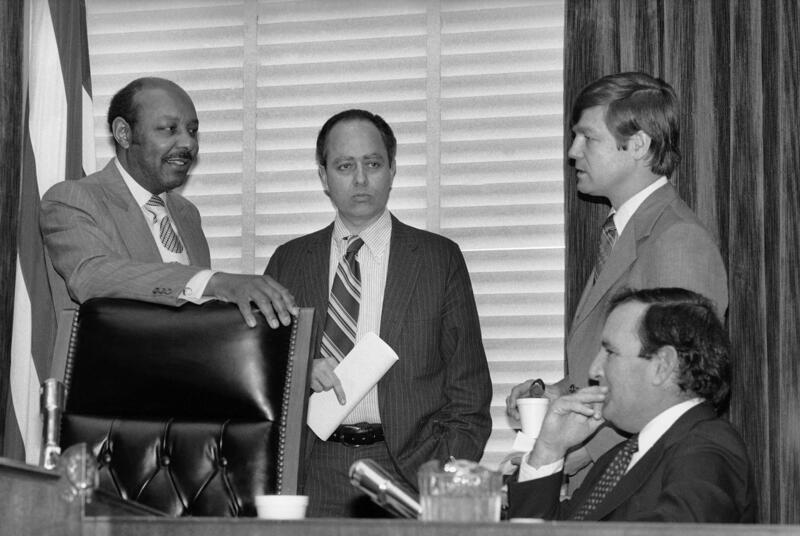 House Assassinations Committee chief counsel G. Robert Blakey talks to committee chairman Louis Stokes, D-Ohio, in Washington on Dec. 22, 1978. 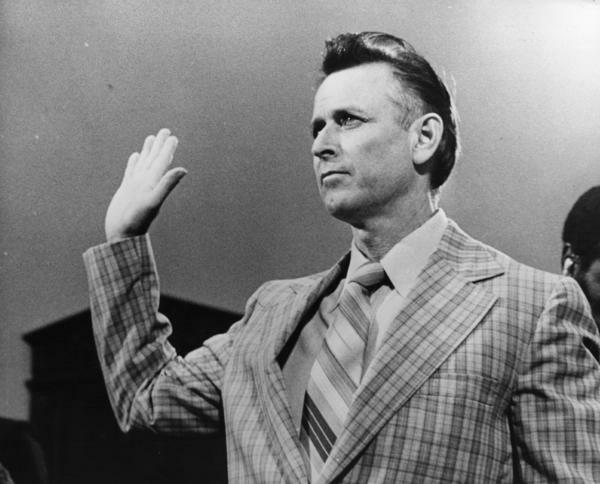 James Earl Ray took the oath before a committee in Washington, D.C. investigating King's assassination. Authorities have investigated the death of Martin Luther King Jr. five times since his murder in April 1968. Congress, district attorneys and the Justice Department all have concluded that James Earl Ray shot King as the civil rights icon stood on a motel balcony in Memphis. That hasn't stopped conspiracy theories from flourishing. Several of King's children said they can't believe a lone gunman killed their father, especially since he had been hounded by the FBI for years before his murder. Others in the civil rights movement that King led have expressed their doubts, too. 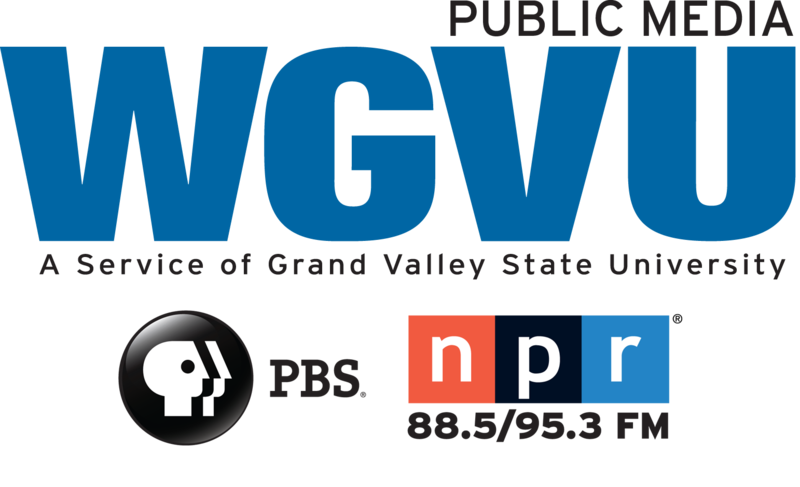 Three men who have investigated the crime over the past 50 years said they are confident in their conclusions — even if some questions do linger about conspirators who themselves may have died decades ago. "You just don't think that these powerful people, these people who are larger than life, can be killed by some nobody with a gun," said former Shelby County, Tenn., assistant district attorney John Campbell. "You know, there has to be more involved. Well, sometimes there's not more involved." Walter Cronkite broke the news to his television audience the night of April 4, 1968. "Dr. Martin Luther King, the apostle of nonviolence in the civil rights movement, has been shot to death in Memphis, Tennessee," Cronkite reported. "Police have issued an all points bulletin for a well-dressed young white man seen running from the scene." After an international manhunt, British police apprehended James Earl Ray at an airport in London. Ray, a sometime bank robber, pleaded guilty to King's murder in 1969, in part to avoid the death penalty. But Ray back-tracked on the story days later. That has left room for doubt ever since. Eight years after King's death, in 1976, Congress launched its own investigation. "Martin Luther King used to say that truth crushed to earth will rise again," then-D.C. Delegate Walter Fauntroy said in his opening statement at the first hearing of his assassination panel. "We are making a serious effort to establish what, in fact, was the truth." Disclosures that King had been targeted by the FBI and its director J. Edgar Hoover for abuse and harassment gave rise to many questions about possible government involvement in his death. The House Select Committee on Assassinations hired engineers to trace the path of the bullet that hit King as he stood on the balcony of the Lorraine Motel. Committee members enlisted forensic experts to study the autopsy report. And they interviewed lots of witnesses. One was the convicted killer, Ray. "And so we worried about — was there somebody else involved in King's death?" said G. Robert Blakey, chief counsel to the committee, in a recent interview. The House investigation found Ray had purchased the rifle likely used to shoot King. Blakey said he found no involvement by the FBI or the Ku Klux Klan, but he still wonders whether Ray might have believed he could somehow have gotten a financial windfall by killing King. The dilemma today is there is probably no way to pin down those details. "The truth of the matter is that conspiracy investigations need to be made at the time of the crime," Blakey said. Blakey says the FBI could not win approval for wiretaps to snoop on Ray's brothers at the time, and so, a key question lingered, without a decisive answer. Meanwhile, from prison, Ray continued to maintain his innocence. He attracted allies such as William Pepper, who became his lawyer and who eventually wrote three books on the King assassination. Pepper later told interviewers he spent five hours interrogating Ray behind bars, and came away with the conclusion that Ray didn't do it. They appealed the case. They tried the Supreme Court. No luck. "It looked like we were at the end of the road," Pepper recalled years later. "And then I came up with an idea, 'Well, look, why don't we try to have a real trial on television?' "
HBO broadcast that mock trial in 1993. The television jury found Ray not guilty. The media interest attracted some new voices, voices like Loyd Jowers, who owned a bar and grill near the motel in Memphis where King was shot. In 1993, Jowers told ABC's Sam Donaldson that Ray didn't kill King and that he knew who was paid to do it. That account provoked a new round of questions about King's murder. But Jowers didn't want to say more unless the district attorney granted him immunity from prosecution. James Earl Ray, ailing and serving a 99-year prison sentence, once again pushed for a way to re-open the case. And thus began another investigation. Local prosecutors in Memphis, including John Campbell, were assigned to look at claims by Jowers and others. "You know there was a lot of people that all of a sudden, yes, just came out of the woodwork," Campbell said. Investigators went back and interviewed people who were at Jowers' bar and grill in 1968. Campbell's investigation concluded that many of those people failed to back him up. One witness who was supporting Jowers decades after the killing allegedly told her sister that she was motivated by the prospect of money, in a call that was overheard by investigators. And Jowers himself changed his tune, from what he told the FBI at the time of the murder. "Within a couple of weeks, we figured out this first story wasn't going to go anywhere, it wasn't true," Campbell said. Something else was happening around that time — the launching of another investigation, this time, by the Justice Department under President Bill Clinton. Veteran civil rights prosecutor Barry Kowalski, who worked on the federal case against the police who beat Rodney King in 1991, led that effort. "We conducted a conscientious and a thorough investigation and just like the four official investigations before it, found no credible evidence or reliable evidence that Dr. King was killed by conspirators who framed James Earl Ray," Kowalski told NPR. Justice Department prosecutors interviewed 200 witnesses and reviewed tens of thousands of documents. They found Jowers and the theory of a government directed conspiracy were not credible. And they wrote that they discounted other allegations, claims the murder was somehow linked to the assassination of President John F. Kennedy. Kowalski said that none of the subsequent theories or inquiries ever disproved the initial one: that Ray killed King, acting alone. "I remain absolutely convinced that those well founded findings were correct," he said.